Each time they step into the football field, Oakland Raiders make sure to give a memorable experience to their fans. This team can be considered as one of the most celebrated one across the United States. The Oakland Raiders takes its origins from the city of Oakland in California. It was established in the year 1960 and was part of the American Football League which had also recently formed during the time. It was allowed a place in the AFL after a team based in Minneapolis, which was unnamed at the time, had switched to the National Football League. As a result of this move, the Oakland Raiders were in pole position to get a place in the AFL and were granted the spot shortly after. As it was now part of the newly formed league, it had also adopted the inaugural draft selections from the Minneapolis based team it replaced. Once the draft selections were taken care of, the team began playing the AFL and was part of the league’s inaugural season in the year 1960. The Oakland Raiders did not have the best of starts in their history as they did not fare well in their first three seasons. They were struggling on the field of play and were facing a very tough time off the field as well. In order to tackle these problems, the team brought in a new coach and general manager in 1963. The person that was selected for the job was one who would later on become on the team’s biggest legends; Al Davis. 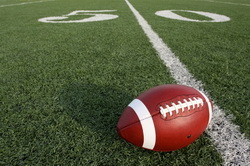 Up until the merger of the National Football League with the American Football League in 1970, the team saw a major upturn in fortunes on and off the field. Under the stewardship of Al Davis, the Oakland Raiders were crowned champions of their division for three consecutive years starting from 1967 and continuing on towards 1969. They were also the proud winners of the league championship in 1967, a trophy which was their first major piece of silverware. They also had the honor of competing in second Super Bowl in the following year. Under the NFL, after the merger took place, the Raiders were allotted to the West Division of the American Football Conference. Ever since the merger and continuing on until 2002, the Oakland Raiders established themselves as one of the front runners in the NFL. They were crowned Super Bowl champions winning the titles at the eleventh, fifteenth and eighteenth versions of the championships. They also won a staggering number of division titles with a mammoth total of twelve. They also won the American Football Conference title in 2002. As a result of their success, the team’s coach Al Davis was among twelve other players of the Oakland Raiders that were inducted into the Pro Football Hall of Fame, which is the highest honor an individual can receive in the sport. Considering the illustrious history of the team, it would be an honor for any fan to get the chance to witness the legendary team playing live in front of their eyes. This is your chance to do just that. Buy your Oakland Raiders Tickets today and ensure that you will forevermore become a part of the Raider’s history. Q:How can I order oakland raiders tickets online? A:You can order oakland raiders Tickets by following easy set of instructions mentioned on our website. Q:How can I get a seating chart along oakland raiders tickets promotion code? A:Oakland raiders Tickets page is where you will find the seating chart from we do not mail it along with the tickets. Q:At what price are you offering cheap raiders tickets? A:We are offering oakland raiders Tickets on comparatively cheap rates with special discount codes. Avail them and enjoy low prices.